I once called my sword (on a multiplayer server) "your head"
[player name] was killed by mrrandom9871 using your head. Using the anvil to name also benefits because sometimes if you do it right your item can be repaired forever. Is diamond such a precious resource? 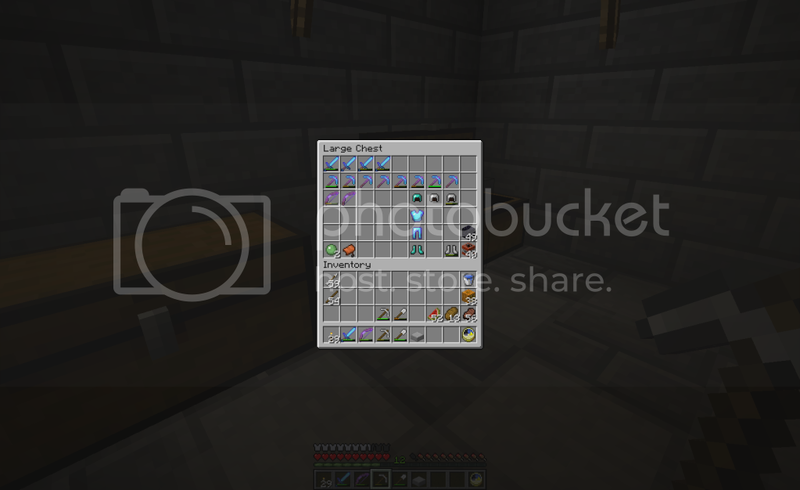 On my last server I never had under 14 diamond blocks, full diamond armour and tools at any on point. Just started my own server recently and day one I had found 18 diamonds. There are just so many of them... why not throw them around? Why not "first diamond pickaxe"? There were a tonne of thieves on a server I played on, a lot of them were really young, all of my iron pickaxes were stolen, but Diamond Hoe wasn't. My first diamond pickaxe? I named it "What the hell is this". Good times. Or alternatively you could mine the stone from branches with stone picks, using what you dig out to make more picks so you have plenty of tools, then just mine out the resources you find with an iron one. Yes it takes a little longer, but you're using up far less valuable resources (with the prevelance of stone in the world you won't run short of picks any time soon), and you get to keep not only the diamonds you find, but the three diamonds you would have used to get the diamond pick too. Better return for your effort, all it takes is a little more time. You get the best return per time spent ratio by using loads of iron picks for main digging and then a fortune 3 diamond pick for gathering item-dropped ores and obsidian. You just don't get it! Your first diamond pickaxe is very special and should be treated with care! Except that I only play multiplayer ATM except to mess around with new features. Besides... If I kept a world for 2 and an eighth years then it would be REALLY cluttered. Mine was an ultimate pick, so it was an anvil added, i added eff to make it 5, all the good stuff, and i wanted to mine one block, mined multiple that gave its name "One For All"
I'm a Zelda fan so I named my first diamond pickaxe' the master pick. I, since the beginning of when this update came in, have not named anything. I love the way you collect, bro. It's actually quite easy to get diamonds. My server restarted our world on February 2nd, and I've probably mined up around 500 blocks (Not joking at all) of diamonds since then. Since we can name our pickaxes with anvils for REAL now, I made mine stylish. You say this as if the majority of players here made their first diamond pickaxe after the creation of anvils. I had a nickname for my pickaxe, "Clanker," but I never actually NAMED it, seeing as how I made it, oh, circa beta 1.7.2? People actually waste levels on naming tools? 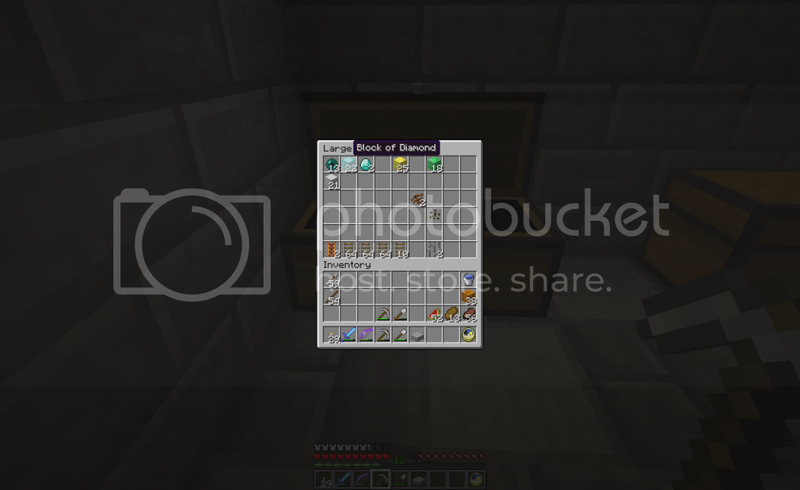 My first diamond pickaxe was named "Fortune Teller's Pickaxe". I usually name the swords first. Cheesy stuff like Sword of the Holy Titans.